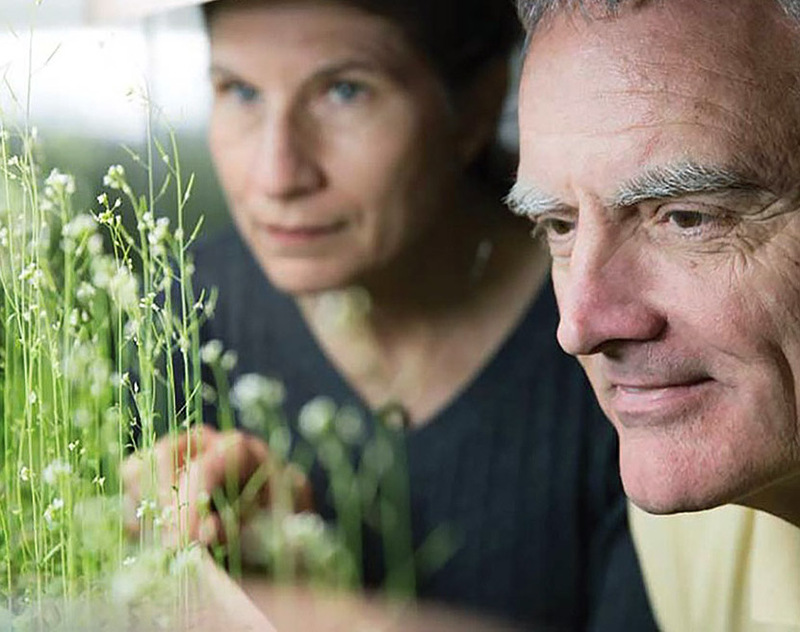 Dr. Robert Ferl uses microgravity to study plant behavior and adaptation. 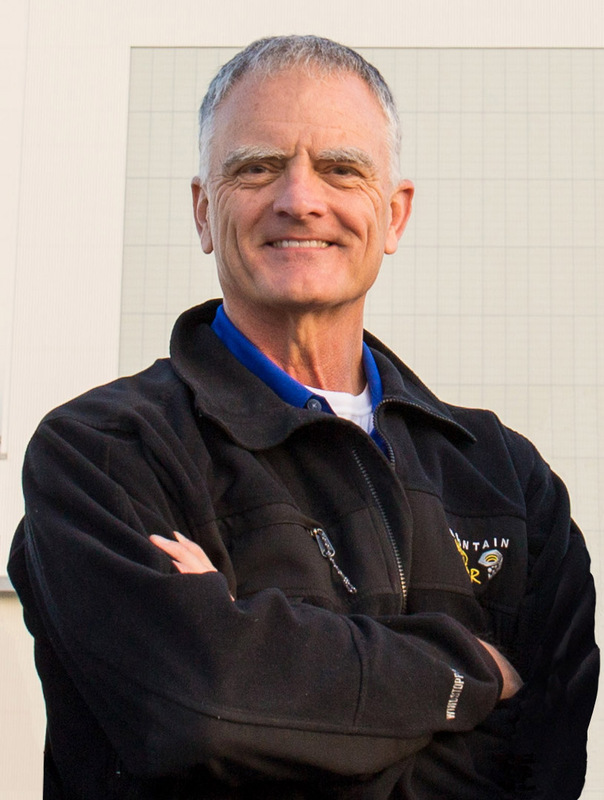 Dr. Robert Ferl is a geneticist, molecular biologist, and space biologist. He is Director and Distinguished Professor at the Interdisciplinary Center for Biotechnology Research (ICBR) at the University of Florida-Gainesville. 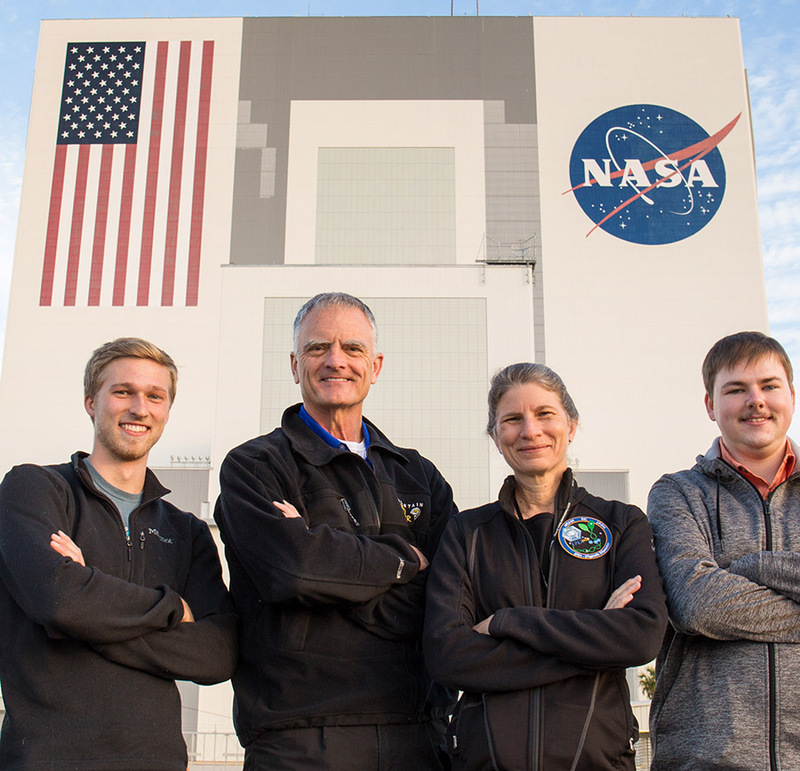 He and his colleague Dr. Anna-Lisa Paul run the University of Florida Space Plants Lab. Dr. Ferl studies how plants adapt to extreme environments, especially at the level of their DNA. He subjects plants to environmental stressors such as lack of oxygen, low pressure, extreme cold, and microgravity (weightlessness). He and Dr. Paul have sent several experiments to the International Space Station to learn how plants respond to prolonged microgravity. 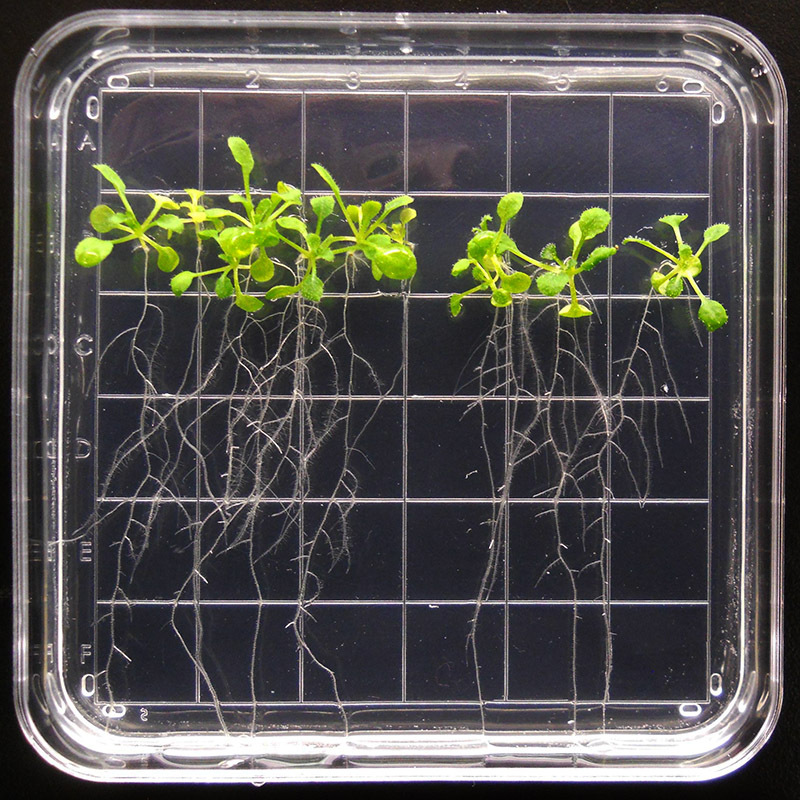 They’ve found that plants respond very quickly to microgravity by turning on and off certain genes in certain parts of the plant, thus changing the rates of chemical processes in their cells. Dr. Ferl’s research is useful for selecting crops to grow in regions impacted by climate change, growing food on long space missions, or even farming on Mars. In addition to providing food, plants in space could be used to filter wastewater, eliminate carbon dioxide, and produce oxygen. 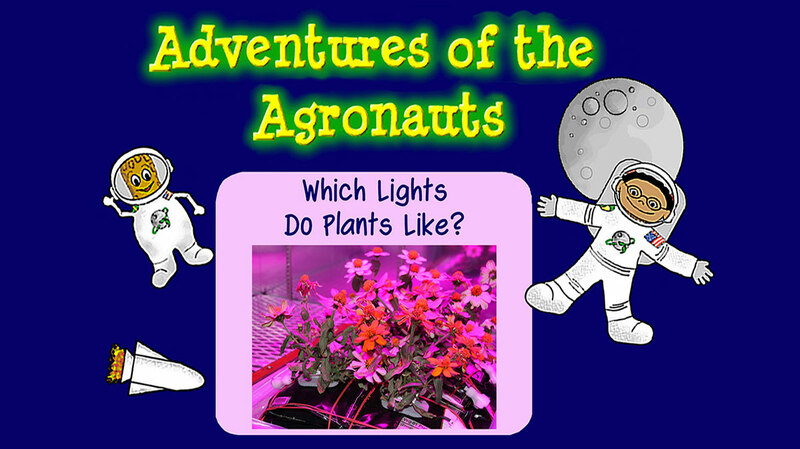 A compelling story about plant science in space told through videos, images, and text. Experiments with plants on the ISS have revealed some surprises for researchers. 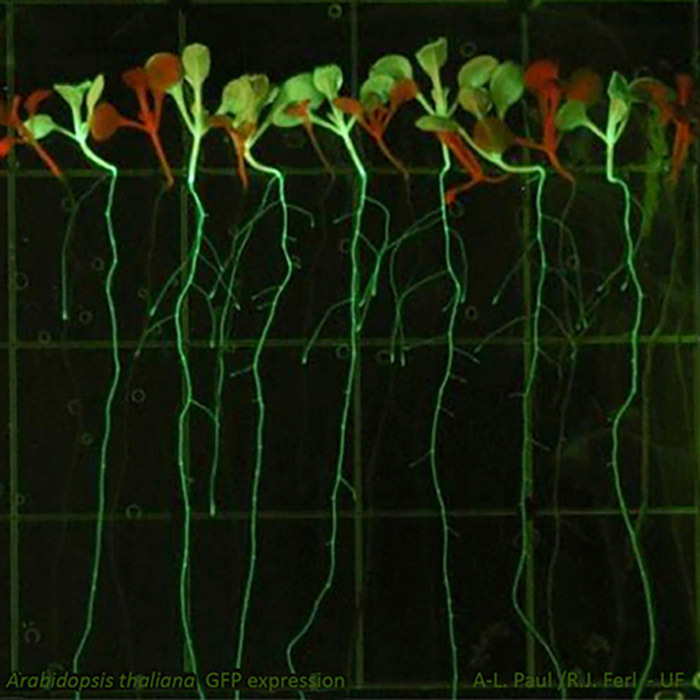 Scientists programmed plants to fluoresce when they change the activity of certain genes in response to stress. Entertaining short video that includes video clips of the scientists doing experiments on aircraft parabolic flights. What can we learn from sending plants to space? How can this knowledge help us on Earth? Taking Plants Off Planet: How Do They Grow in Zero Gravity? 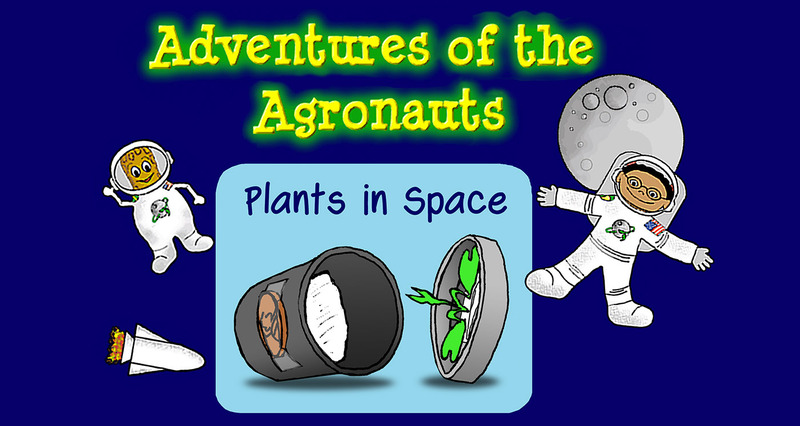 All about the Space Plants Lab at the University of Florida-Gainesville. 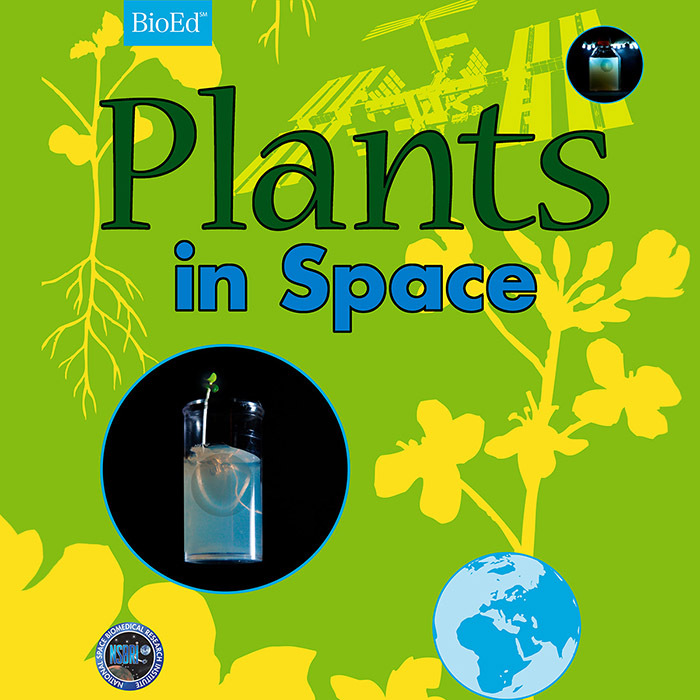 Detailed teacher’s guide from BioEd Online modeled after recent plant experiments on the ISS. Can plants tell which way is up? Find out through experiments with radish seedlings. Research published in early 2018 reveals some of the plant genes that are especially affected by spaceflight.